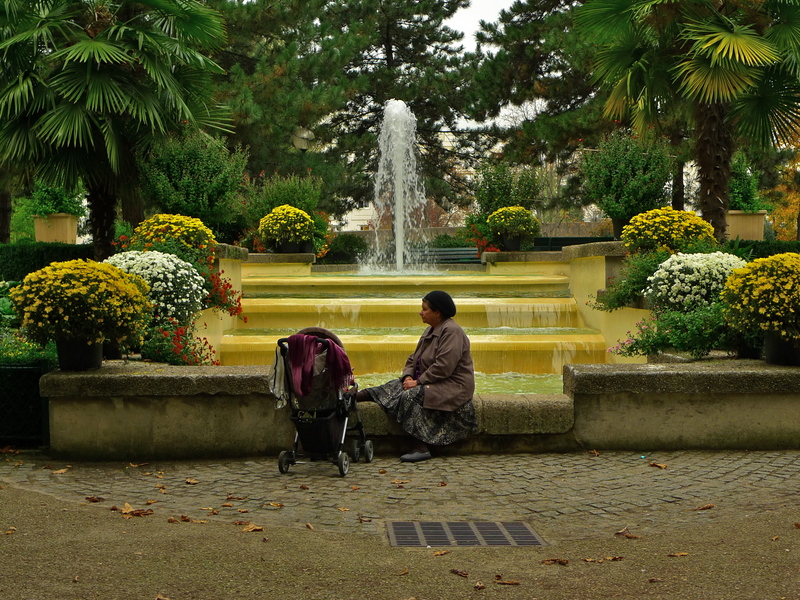 FOLLOWING ON FROM the previous post, I went to the Rue de la Roquette again on Saturday and explored the street from its intersection with the Boulevard Voltaire to the cemetery Père Lachaise. 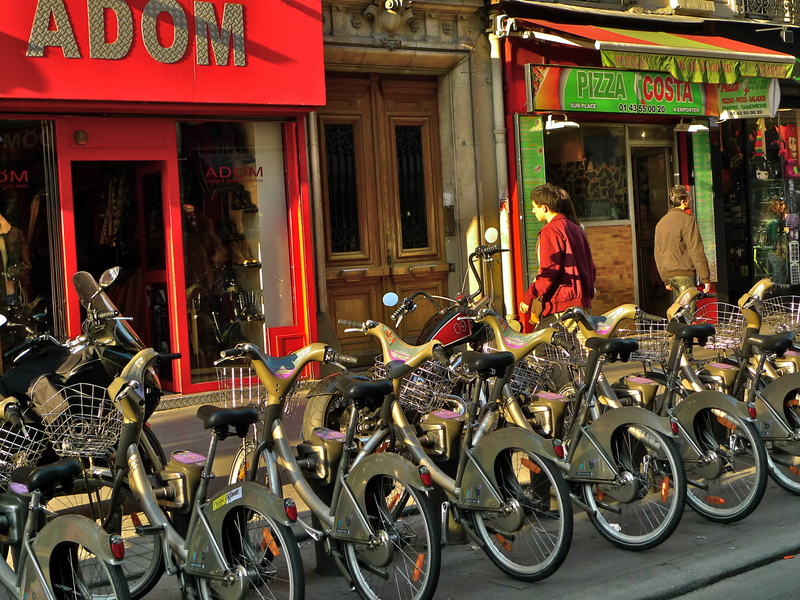 A wave of sadness overwhelmed me as I left a café and embarked on my journey. 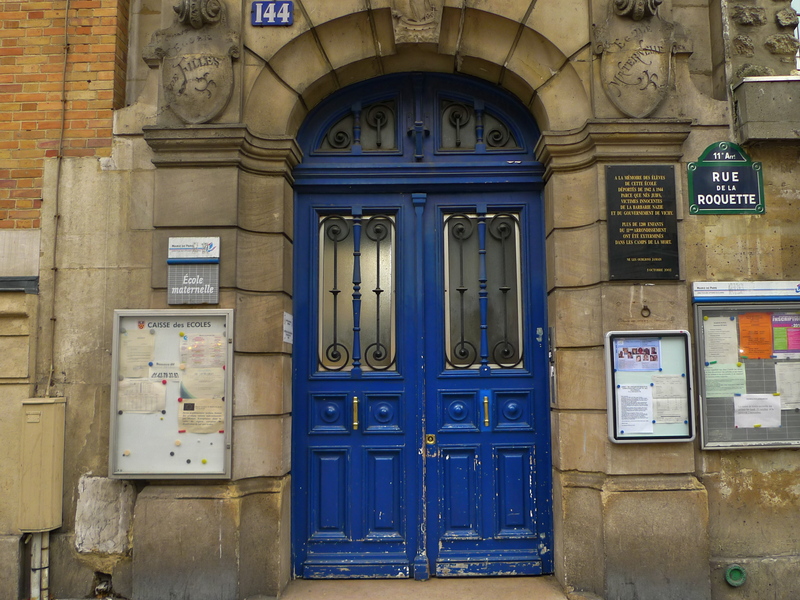 Just round the corner from the café, at 144 Rue de la Roquette, is an Ecole Maternelle, a nursery school. On the wall is a plaque which tells its own sorry story. 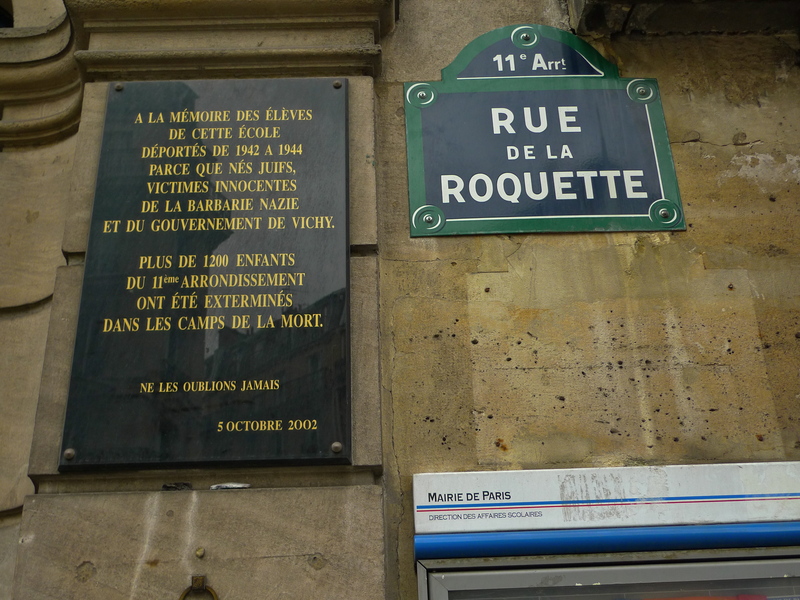 Plaques like this on are to be found on many schools in Paris. I’ve seen many of them and they always make for chilling reading. Further along the Rue de la Roquette I came upon the Square de la Roquette, which is not without its own history. 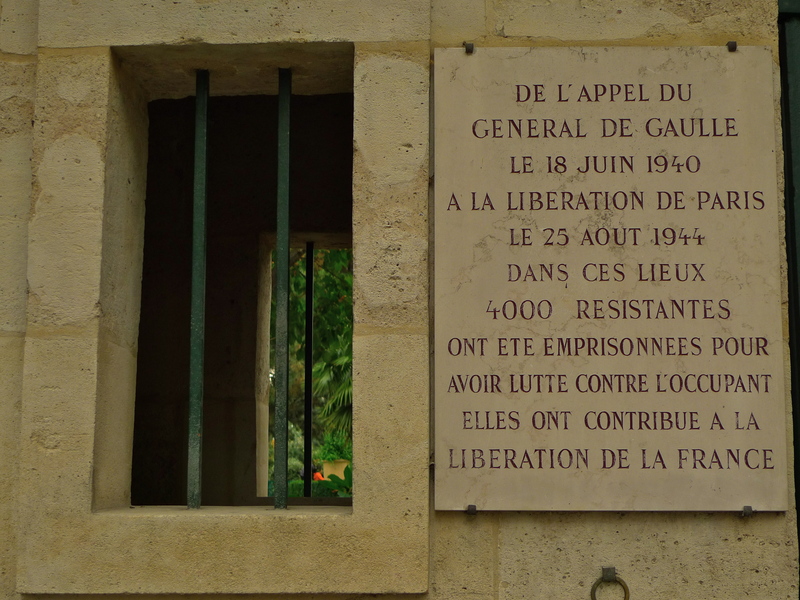 Originally the site of the Convent from which the Rue de la Roquette takes its name, a prison, La Petite Roquette, was opened here in 1830 and it was here that some four thousand members of the French resistance were held during the Nazi occupation in the early 1940’s. All that remains of the prison today is the gateway beyond which is a delightful park with a fountain, a garden, basketball courts and a children’s playground. And the history continues. Directly across the road from the Square de la Roquette where apartment buildings now stand, is the site of another prison, La Grande Roquette. Opened in 1836, La Grande Roquette became home to Madame Guillotine in 1851. 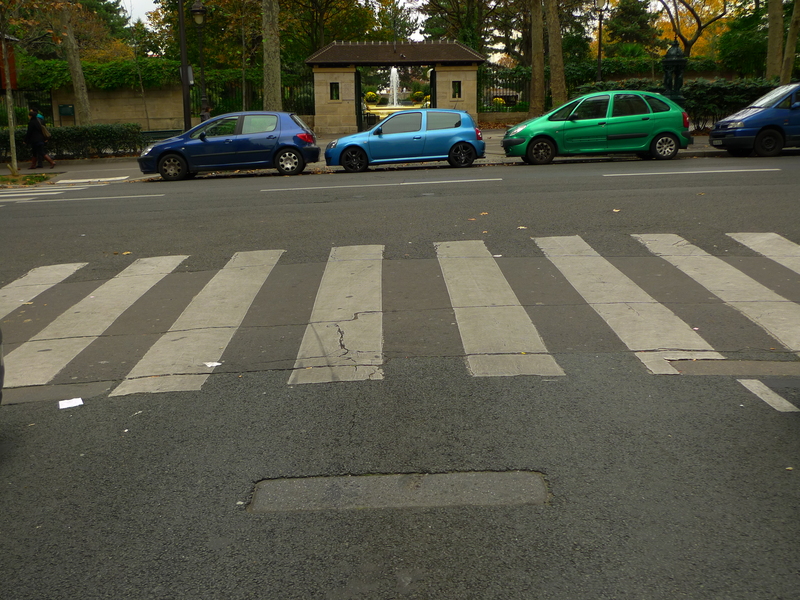 Although all signs of this prison have now gone, its grizzly history lives on in the shape of five granite stones embedded in the road at the junction of Rue de la Roquette and Rue de la Croix-Faubin. These stones formed a firm foundation for the guillotine to ensure that the blade slid straight down to the lunette. And yes, I did stand in between the stones on the very spot where the guillotine stood but my thoughts were less with the headless victims of this grizzly apparatus and more with the innocent children from the Ecole Maternelle further down the street whose fate lay in the Nazi death camps. 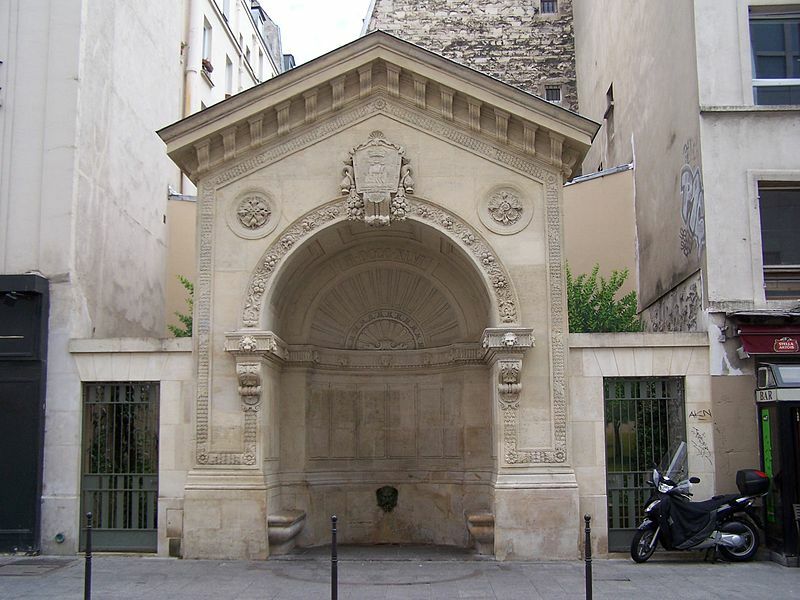 THE RUE DE LA ROQUETTE, in the 11th arrondissement, stretches the one and a half kilometres from place de la Bastille to the cimetière du Père-Lachaise. 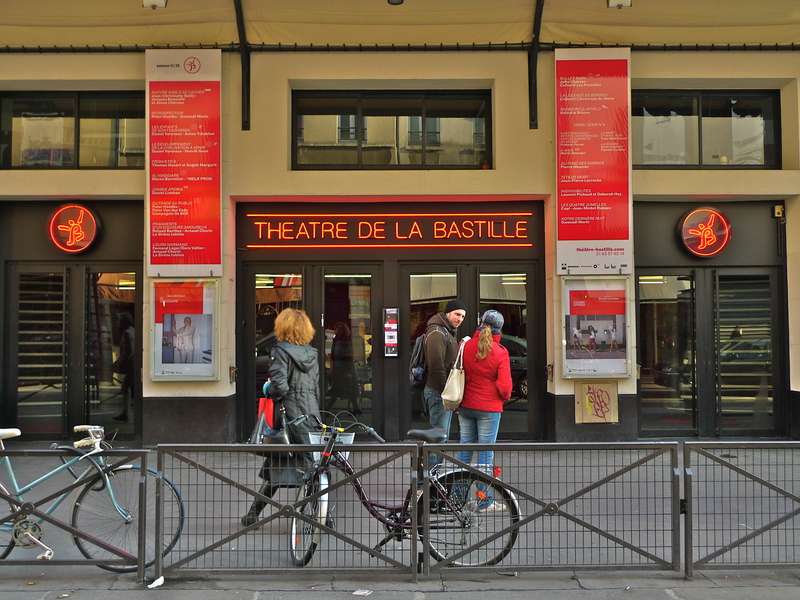 It boasts a relatively new catholic church, a synagogue, a decorative fountain, a theatre, many small bars and restaurants, the site of two former prisons and even evidence of Madame Guillotine. 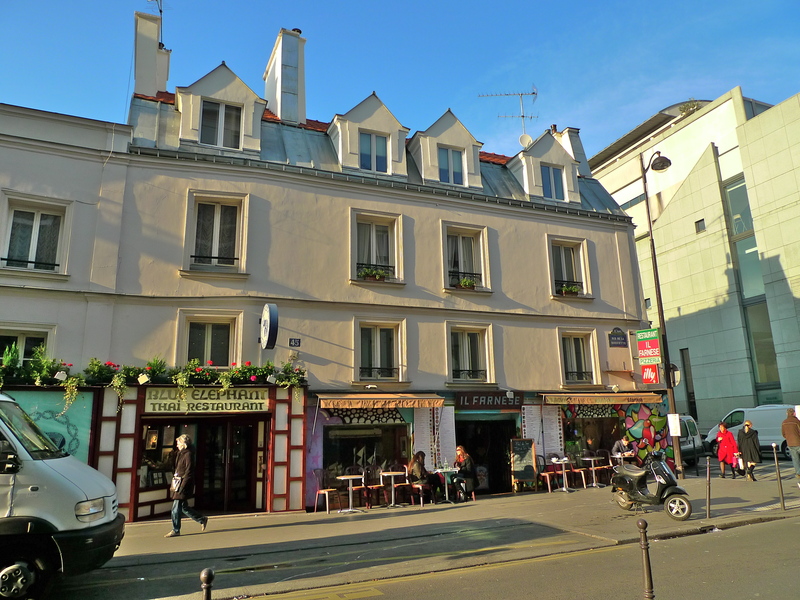 The earliest record of the Rue de la Roquette dates from 1672 and it takes its name from the former convent, the Hosptalières de la Roquette, founded in 1636. Incidentally, the word “Roquette” is derived from the name of a plant with yellow flowers that thrived on wasteland, which this area was until the early seventeenth-century. The word “Roquette” was adopted by the convent and subsequently by the street. The Rue de la Roquette was also home to two prisons, La Grande Roquette, and La Petite Roquette, one on either side of the road. 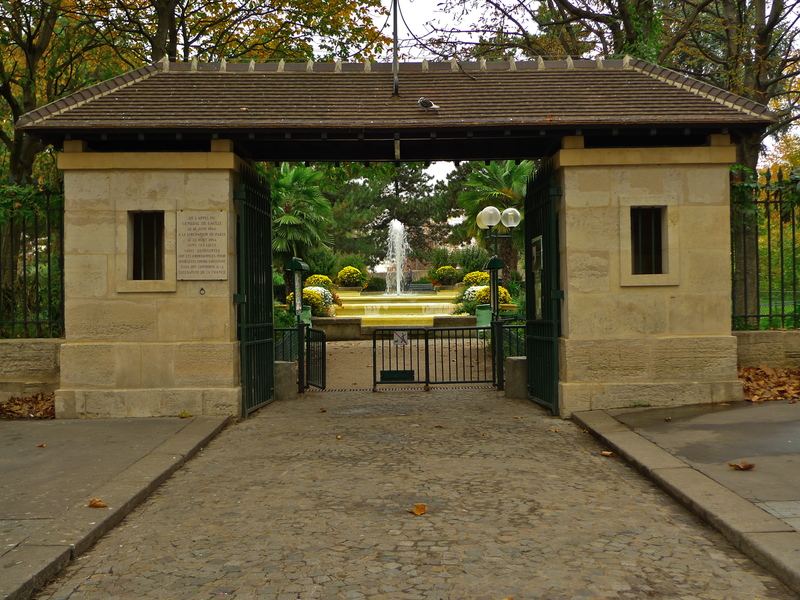 In November 1851, the guillotine was moved to the Rue de la Roquette outside the gates of La Grande Roquette prison and on this spot sixty-nine people were executed. 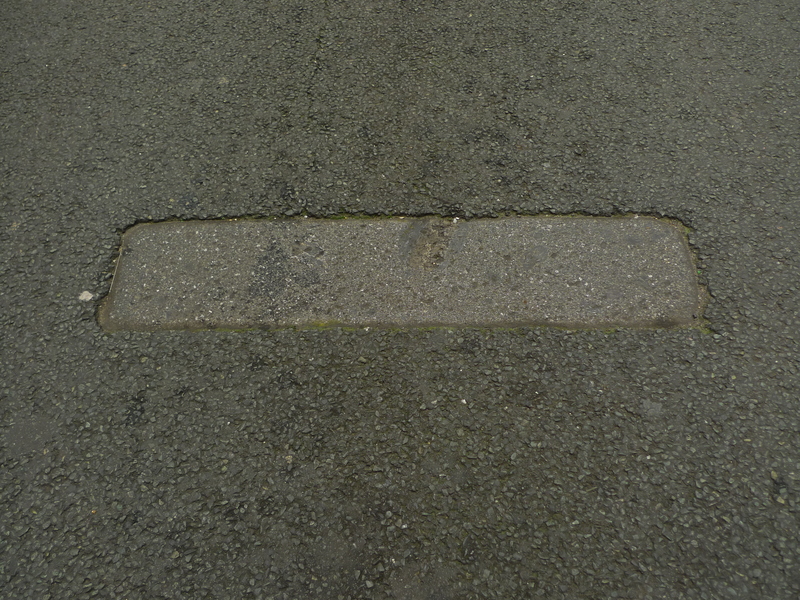 Evidence of the guillotine survives today in the form of granite stones embedded in the road which formed the supports for the guillotine. The Grande Roquette prison was closed and demolished in 1900. The Petite Roquette became a women’s prison in 1920 and was finally closed in 1974. But away from the gruesome history, capturing the sounds of the streets in Paris is almost always accompanied by the ever-present sounds of traffic. 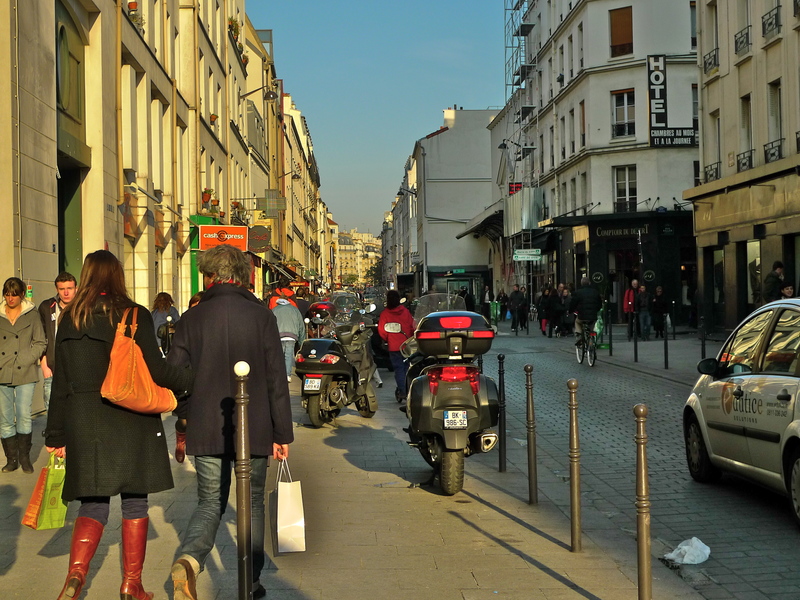 Late last Saturday afternoon I walked along the Rue de la Roquette and, for once, I found that the traffic rumbling over this pavé street was more in harmony with the other sounds of the street than is usual. It’s almost as though, for once, the traffic takes centre stage rather than being a back-stage distraction.